Mongolia has never really been a source of fascination for Westerners. Sure, popular culture has made us familiar with throat singing, yak fur, and Genghis Khan, everybody’s favorite great-great-great-uncle; but the true spirit of Mongolia has always eluded the Western consciousness. The most sparsely populated country in the world, Mongolia is home to a largely nomadic, Buddhist population. It is an enigmatic country of resilient, spiritual people whose name has become a Western metaphor for the out-there, the no-man’s-land. To understand a bit more about tough-as-nails Mongolian culture, we take you to the Naadam Festival, or “The Three Manly Games”. 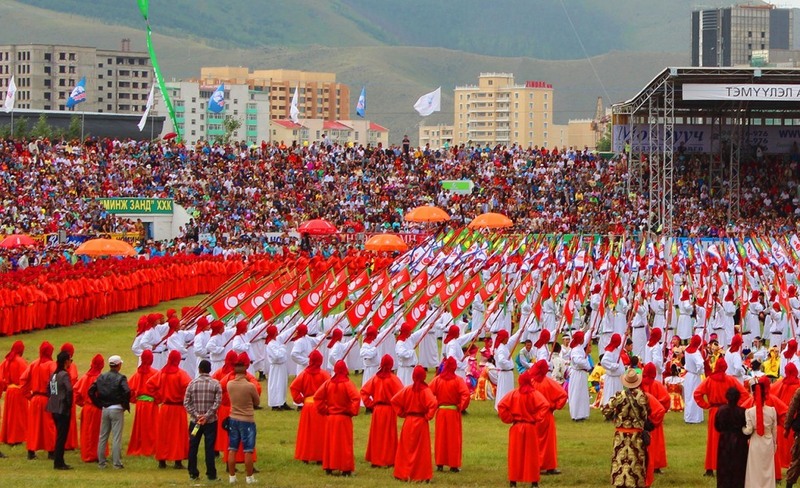 The Naadam Festival, held in early July, is a ceremony celebrating Mongolian culture and independence. Existing for centuries, the Naadam games have been a test of strength and skill as well as a display of cultural pride and unity. 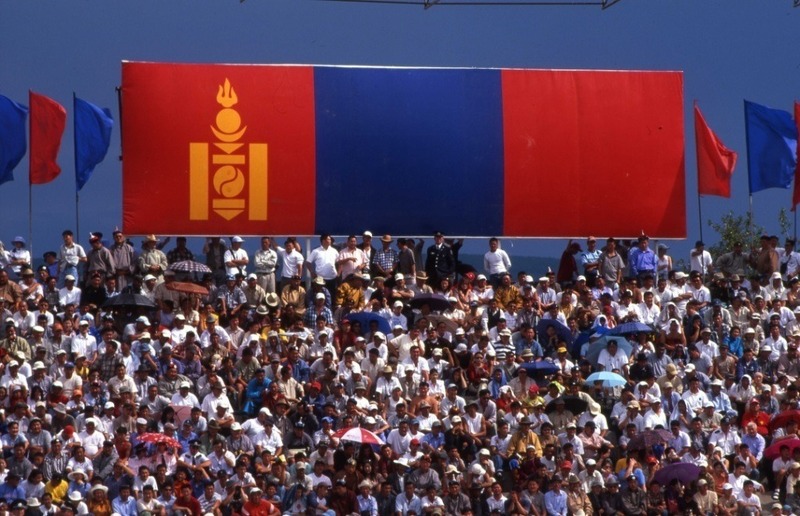 Horse racing, archery, and bare-chested Mongolian wrestling are the three events that attract thousands every year to the national stadium in Ulaanbaatar. The Bökh, bare-chested Mongolian wrestling, consists of male-only participants. The winner of the game is the last one standing: only feet and hands may touch the ground, and the grapplers will try to down their opponent at all costs. 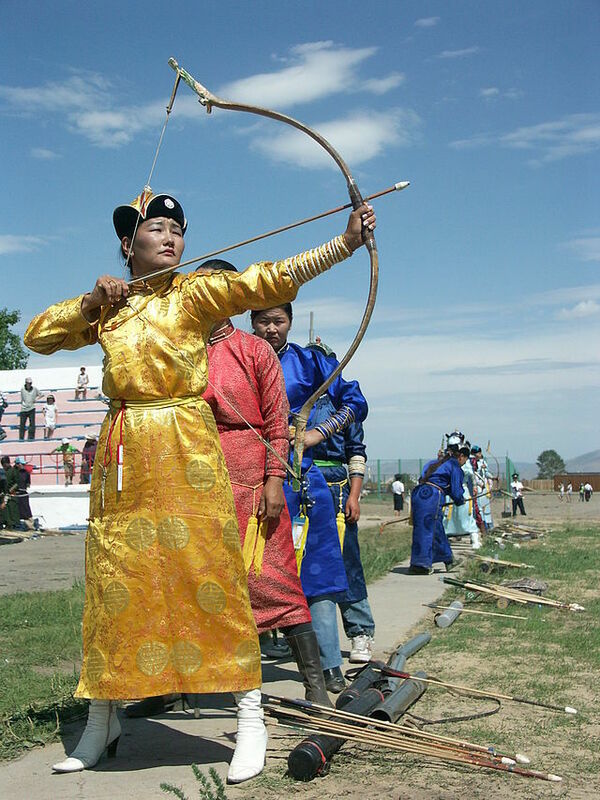 Despite the gender restrictions on the Bökh contest, the “Manly Games” are a display of the prowess and power of Mongol men and women alike; in the Nadaam, manliness has nothing to do with gender. The Bökh is the central spectacle of the Nadaam: there are no time, age, or weight limits. Win the Bökh one time and you are given the epithet “Lion Of The Nation”. Win five times and you are crowned “Undefeatable Giant”. The contestants wear ceremonial dress consisting of the shuudag pants, gotol boots, and the zodog overcoat. Formerly closed-chested, the zodog was altered to be an open-chested garment all because of Khutulun, Mongolian warrior princess and niece to Kublai Khan (then-emperor of China). 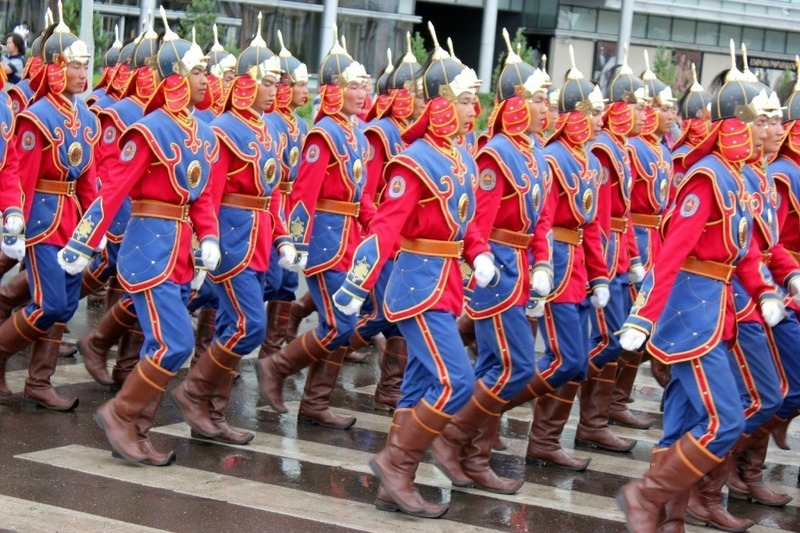 In Mongolia, virility and overt displays of physical strength are not specific to men- but when one woman exhibited a little too much of both, women and the closed-chested tunic were barred from Bökh, the Naadam’s most brutal and central game. According to legend, Khutulun refused to marry any man who could not defeat her in the Bökh contest; the losers would have to pay her one horse as consolation. She amassed a stampede of 10,000 horses this way before marrying a compatriot of her father’s, and was only refused the rulership because none of the male heirs had died –her father would have preferred her to take the throne. Now, the chests of the warriors remain bare, but the legend of Khutulun knows the true strength of all the Mongolian people: men and women alike.